If she was ever afraid, I never knew it. She tackled the experiences of her life with a measure of purpose and pure guts, and a faith in God that everything would come out okay, no matter what happened. I only regret that while our lives intersected, that I did not spend more time learning life's lessons at her feet. Lisa came into our family a long time ago - long before my time. She and my grandfather grew up as childhood friends among the fjords of Norway. The area where they lived was particularly harsh, but an excellent area for fishing and farming, and so their families made a living. People are destined to be challenged during their lives; some wait for rescue, and others overcome and become stronger. Lisa was among the latter. Her challenges in life started early, when both of her parents were seriously ill, and several of the children of the family had to be sent to live among relatives. Lisa was sent to her Uncle Benoni and Aunt Lovise, a childless couple who lived on a neighboring farm. She grew up doing the farm work usually reserved for the boys in the family, but as her Uncle Benoni's only helper, it was a role that needed to be filled, and she did it. While she lived in the reality of her situation, she indulged in a deep, but distant, adoration for her mother, Bergitte. 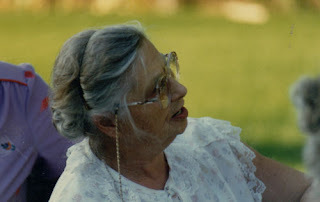 She idolized Bergitte's beautiful black hair and deep blue eyes, her smile, and how she could do things most women could not; her craft projects won prizes at the county fair; her singing voice was loud and clear, and she knew every hymn in the church hymnal. She grew up wishing to go home and be with her mother, but it was a dream that was never realized. Uncle Benoni and Aunt Lovise helped instill in Lisa a love for and trust in her Lord, and at age ten she experienced a spiritual rebirth, which took her through the rest of her life. 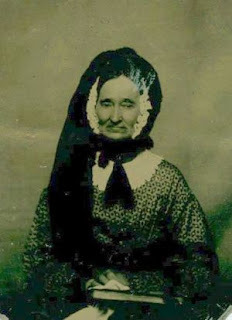 After the death of her Uncle Benoni five years later, she and Aunt Lovise took over operation of the farm on their own. Times were hard; they had to carry fire wood from the mountain on their backs, and in tough times they had to dig through snow to find greens to feed to their animals. Aunt Lovise told her, "Don't worry Lisa, some day you will be rich. Martin Luther carried wood on his back too, and became a famous man." At the age of 18 she made the difficult decision to leave Aunt Lovise and fulfill her dream of becoming a teacher - however, she had no money to advance her schooling. She had a cow, which she sold for clothes and shoes, and her father bought her a new coat; with that, she went to the local bank and signed a loan for the school, and arranged for a kitchen job at the school. Her mother followed her to the ship bound for Oslo, and told her "The Lord will go with you" and He surely did. She had never been away from home before - she fought homesickness, loneliness, and tried to adjust to a new culture so vastly different from anything she had ever known in the country. At one point she had had enough, and was packing to go back home, but a caring and empathetic house mother convinced her to stick with it - a defining moment in her life, and the only time I have ever heard of her contemplating giving up. After her schooling, she took a teaching job in northernmost Norway, in Finnmark, which she described as "being about as far away from home as you could get." The school district was among the poorest. The job involved teaching in three different schools, and Lisa, who was very, very seasick, could either take a boat between the schools or walk the 14 miles, over rocks and bushes, with her books and clothing. 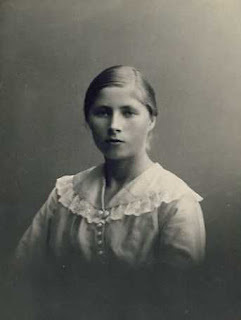 Many of her students were destitute Lapps and did not speak Norwegian. There was no budget for school supplies, so Lisa herself had to supply whatever she and her students needed. Despite the circumstances, Lisa fell in love with a handsome accordion player, but would not marry him before she had paid all of her debts. He could not wait, and got another girl pregnant, and married her instead. When overcome with sadness and loneliness, she would walk to Kjøllefjord, where the church was, and console herself in the company of her friends. The horror of her life came in 1940, when the Nazis invaded Norway. Food was scarce; all radios were confiscated. Those who refused to join the Nazis faced being put into camps. No one dared talk freely, as it was impossible to know who could be trusted. In 1945, the Germans lost the war and burned and destroyed everything as they left. The townspeople had heard the news about the burning but did not realize the seriousness of the situation until they saw the smoke rolling over from the other side of the mountain. The men went home to pack and the women all began baking bread to prepare for an evacuation. The next morning at 5 a.m., there was a knock at Lisa's door, suggesting that she leave with some friends, but she refused, as there were more people who needed help. Two hours later, the Germans were on the harbor, shooting. She took her bicycle and her valuables up into the mountains to a small lake where there would be access to water, and the German soldiers began throwing grenades into all of the homes, and by sundown that day there was not an intact house remaining. The townspeople were being rushed into fishing boats and told to head south. One man in Lisa's boat "went crazy" under the stress and they were forced to tie him up and put him in a basket to keep him from attracting the attention of the German soldiers. After three days on the water, they came to the city of Mansus, which lay nearby a road leading to Lisa's home country. She got off the boat with two families and ran away into the darkness, toward the safe home of her mother and father. The following year, she received a telegram from director of schools in Finnmark, asing her to come back and build up the school. She had already taken a very good job across the fjord from her sister's home in Trondheim, but she could not say no to the job in Finnmark. She packed her things and laid on the pier for three days, calling out to the passing boats, asking if they were going to Finnmark. The reply was all the same - "Are you crazy? The ocean is full of mines!" Finally a boat picked her up and took her to her destination. Upon her arrival, she discovered that there were was no schoolhouse, no supplies, no chairs, no books, only children in need of a teacher. 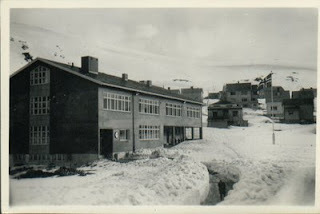 The mayor, who was grateful for her coming back, gave her whatever she needed, and she spent the next ten years building a solid school system in Kjøllefjord, one little bit at a time, first as the teacher, and later as principal of a modern school building with a crew of teachers and ample equipment and supplies. One day years later, her life changed forever, yet again. She received a letter from her childhood friend, Adolph, who had gone to the United States 30 years prior, asking if she had ever considered coming to America. Indeed, she had! As a teacher, and a lover of learning, she was anxious to see what America had to offer. A short time later, she had taken a leave from her job, and found herself at the railroad station in Brookings, South Dakota, in the presence of her childhood friend, Adolph, who was by then a widower with twelve children. A month later, they were married. Again, her life was turned upside down, in a new culture, a very long way from home. She learned a new language. She saw the country. She learned to relate to twelve children that were not hers. She continued her career in education, this time teaching Americans about life and culture in Norway. She embraced grandchildren, and taught them all she could about survival in an oftentimes tough world. I will never forget her telling me that the last letters in "American" were I CAN. With perseverance and trust in God, we can, indeed, do anything. She spent 96 years on this earth showing us how it was done, and her inspiration lives on. 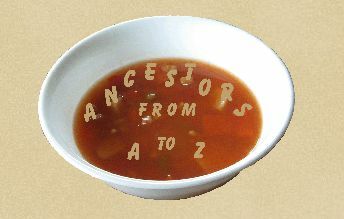 I love a good story - and I enjoy it even more when it involves my ancestors. The best story, in my opinion, is something of a mystery, and the pieces are put together slowly, bit by bit. Such is the case with my gr-gr-gr-gr grandmother, Rebecca Lair, of Princeville, Illinois. Chasing down our female ancestors is often difficult - they tended not to leave as much of a paper trail as their male counterparts. But Rebecca's husband, William Lair, left a sizable probate file that gave me some very intriguing glimpses into her life, but as is often the case, a whole new set of questions were raised. William Lair and Rebecca DeBolt were married on 16 Jul 1828, in Licking County, Ohio; about 1849, they and their family moved to a farm in Akron township in Peoria County, Illinois. Rebecca did not have an easy life; she was the mother of ten children, four of whom died as children or young adults. Her husband died in 1857, after an illness of one week, suddenly leaving her with a farm, five minor children, and a long string of IOUs. William owed small amounts of money to everyone - to his son, his brother, his nephew, and others for expenses to keep his farm going and other ventures; he and two other men had also signed promissory notes to the Akron school for their share in boarding the teacher, at 10% interest. William died intestate. Rebecca was named executrix of her husband's estate, but for whatever reason, she declined, and turned to her brother, George DeBolt, for help. DeBolt handled the administration of the estate, paying William's debts, but his own fees and commissions for acting as administrator were significant, and the estate was deemed insolvent. To have his fees paid, DeBolt petitioned the court to sell the widow's home, and sued all eight of her children, including the five minors. The family's home was sold to another of Rebecca's brothers, William DeBolt. I can only imagine how betrayed Rebeca felt. In the following years, she worked as a seamstress and "washer woman" to support herself and what was left of her family. Ironically, while she sewed beautiful garments and quilts for others, her own windows were covered with paper curtains. Seventeen years elapsed before my next substantial piece of information about Rebecca's life. At the time of her death, she owned real estate and rental property in the village of Princeville, and had money to leave to her adult children in her will. She had lost nearly everything in 1857, and had built up an estate for herself by the time of her death in 1874. I would love to know what happened in those missing years. I would love to know more about the woman who was knocked down, but refused to stay there. There's a great story in those missing years, and little by little, I hope to piece it together.